Terre Rushton was the Associate Executive Director of Programs for NITA. She has been teaching NITA since 1982 in regional, international, public service, teacher training and custom programs, and has held various positions including the Program Director of NITA’s National Session. Ms. Rushton graduated from the University of California, Hastings College of the Law in 1973, served a judicial clerkship, and then worked for the Colorado Attorney General in its General Legal services section, specializing in election law. 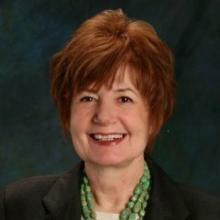 She was a partner in the litigation practice of Kelly, Haglund, Garnsey & Kahn, in Denver Colorado for 20 years. Ms. Rushton has argued before courts in the state, appellate, federal, and federal bankruptcy levels, the10th circuit and the United States Supreme Court, where she successfully argued Budinich v. Becton Dickinson. She has been active in many Colorado Bar association activities, including those focusing on civil court reform, served as Chair of her Section and on the CBA Executive Committee. She has chaired a statewide Multidisciplinary Committee on Domestic Relations, and authored the pro se forms and procedures used in Colorado district courts. She is a frequent lecturer at CLE programs, and an expert witness in court.